Mira Matte. Natural Color Enhancer. Color Enhancement For Textured Stone Surfaces Including: Flamed Granite, Tumbled Marble, Cleft Faced Slate, Textured Cast Stone, Textured Natural Stone and Flamed Limestone. Mira Matte is a unique product designed to enhance the natural color of all flamed, sandblasted, split faced, tumbled and textured surfaces. When used with one of our penetrating sealers, Mira Matte seals and protects while leaving a beautiful, low maintenance, color enhanced satin sheen. 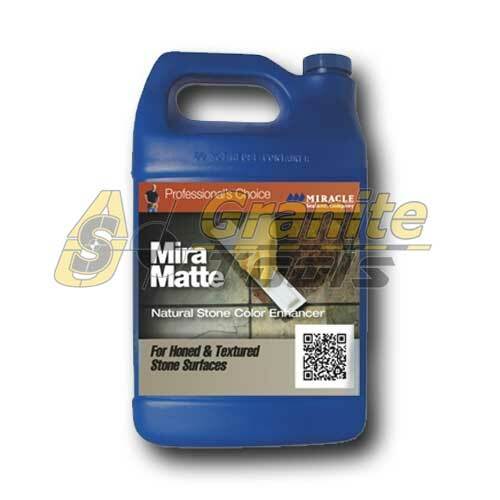 Mira Matte allows vapor to escape while offering a scuff and weather resistant surface. Mira Matte is U.V. transparent, will not yellow and can be used on both interior and exterior applications. Coverage: 100 – 200 square feet per Quart (4.5 – 18 square meters per 3.785 liters). Stone Impregnation Impregnation on the basis of silicone. 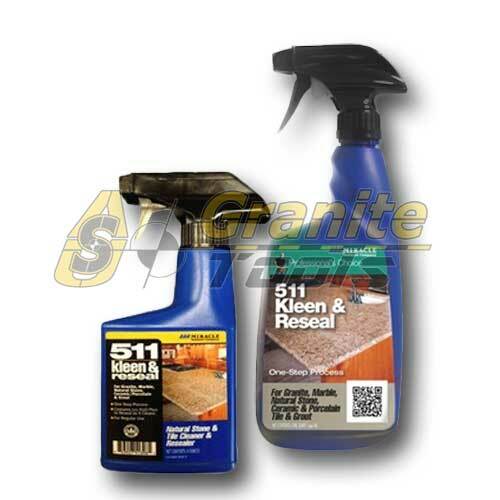 Penetrates deep into the stone, makes it water-repellent without impairing the vapour permeability. Protects façades from driving rain, causes water to pearl off and is dirt-repellent.